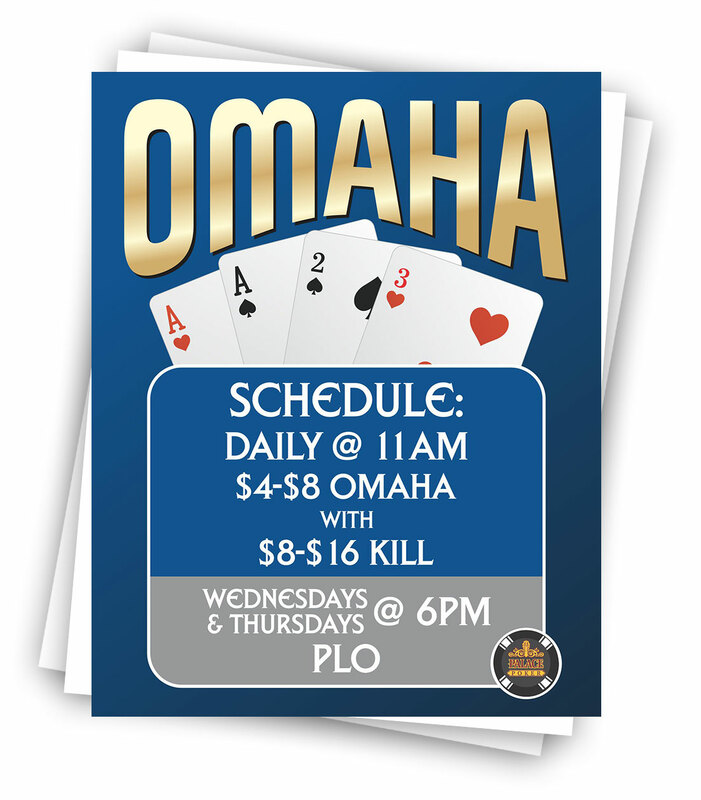 Daily starting at 11 am $4-$8 Omaha with $8-$16 Kill. 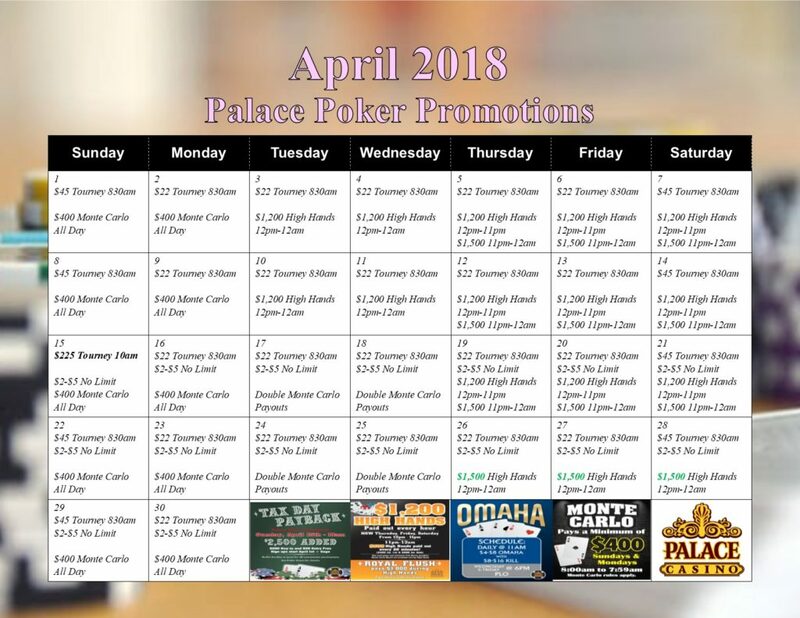 Wednesdays and Thursdays Pot Limit Omaha starts at 6 pm. 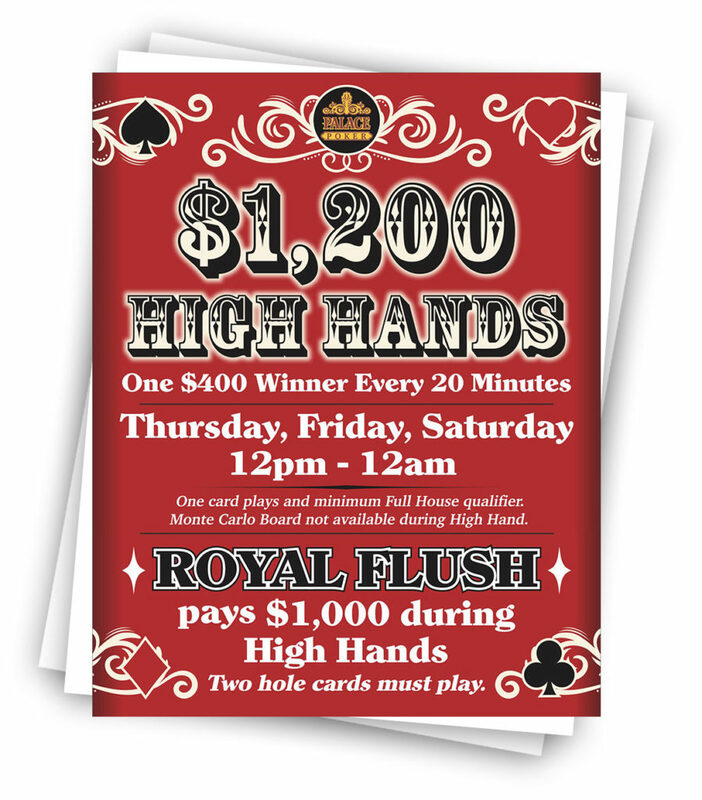 High Hands are worth $400 for the 1st place winner every twenty minutes. That’s $1,200 every hour on Thursday, Friday and Saturday from 12pm to 12am. 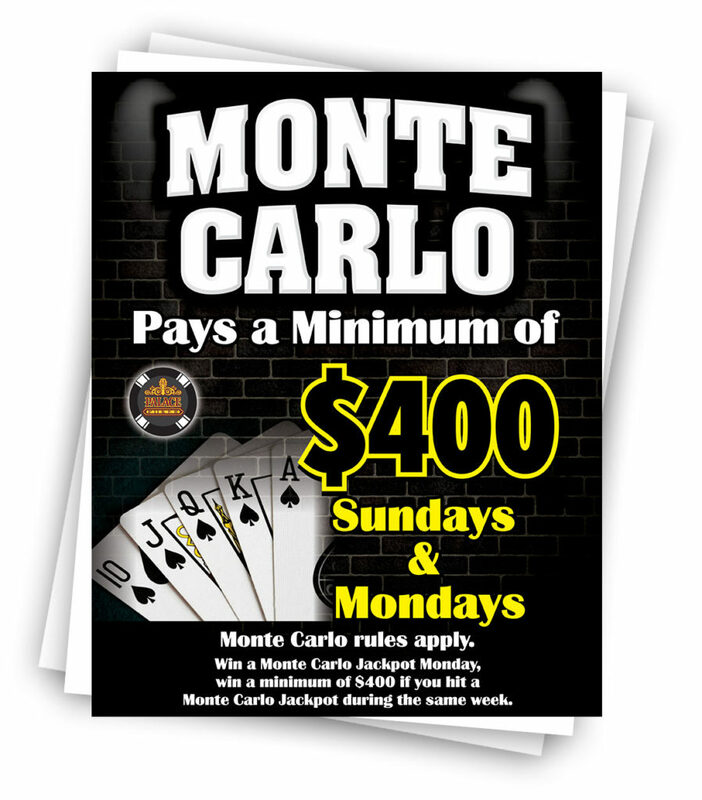 Monte Carlo is $400 minimum every Sunday and Monday. Win a Monte Carlo jackpot on Monday and if you hit a Monte Carlo during the same week, you will also win a minimum of $400! Every Tuesday at 7pm and Sundays are noon, Palace will host a $2,500 Freeroll tournament. That adds up to $5,000 a week! 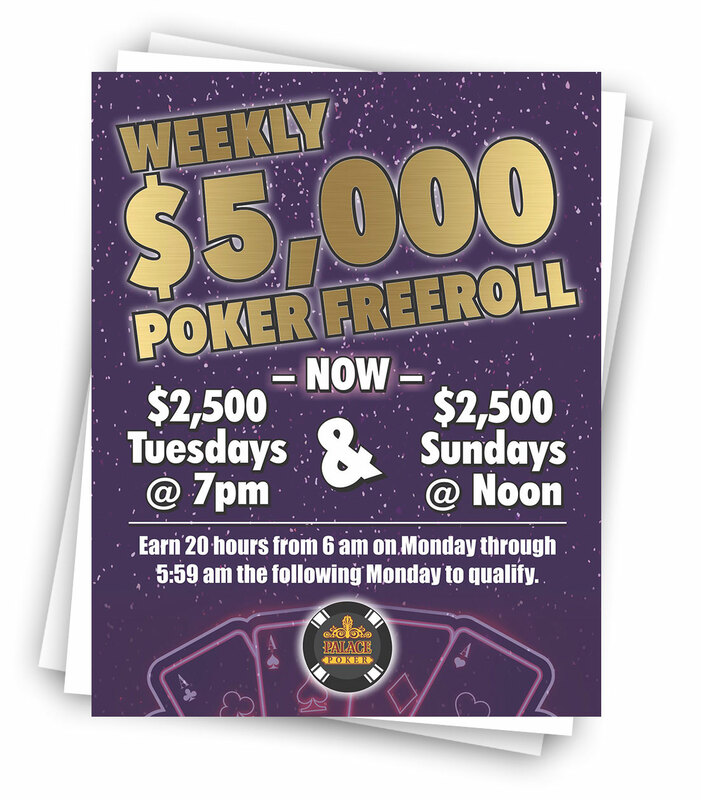 Earn 20 hours from Monday at 6am through the following Monday at 5:59am to qualify. Earn double hours on Tuesdays and Wednesdays and daily from midnight to 8am. 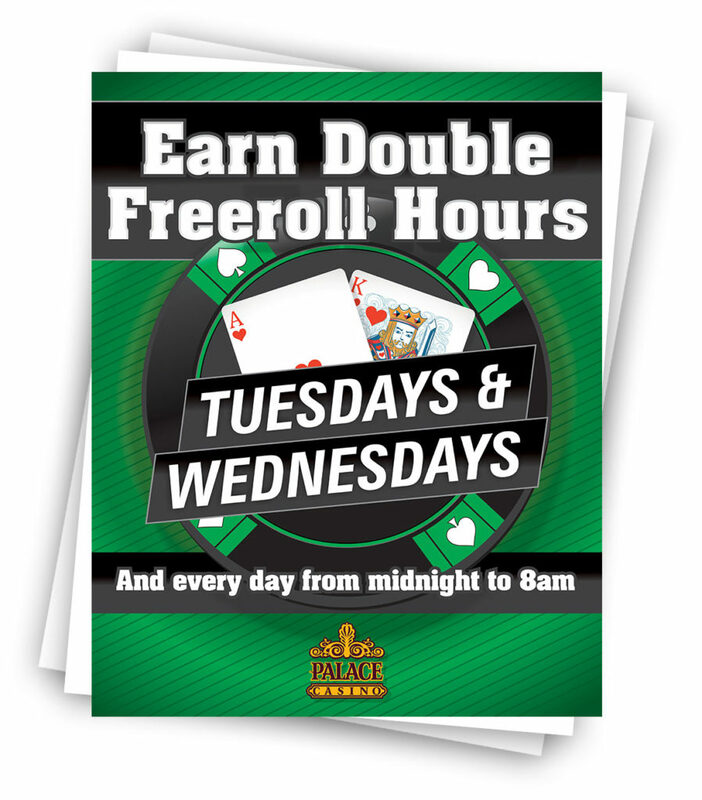 Earn double freeroll hours on Tuesdays and Wednesdays all day. 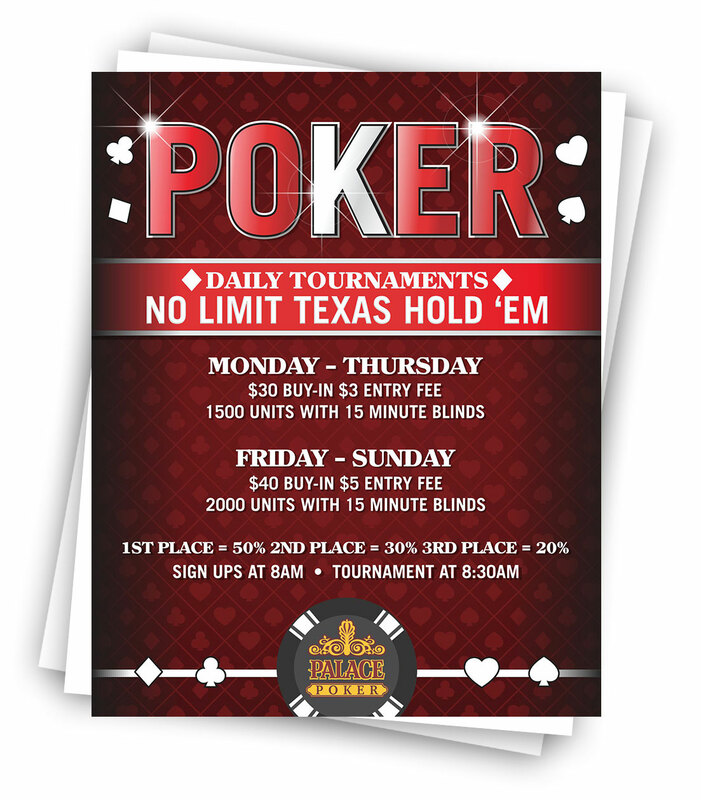 You can also earn double freeroll hours every day from midnight to 8am. 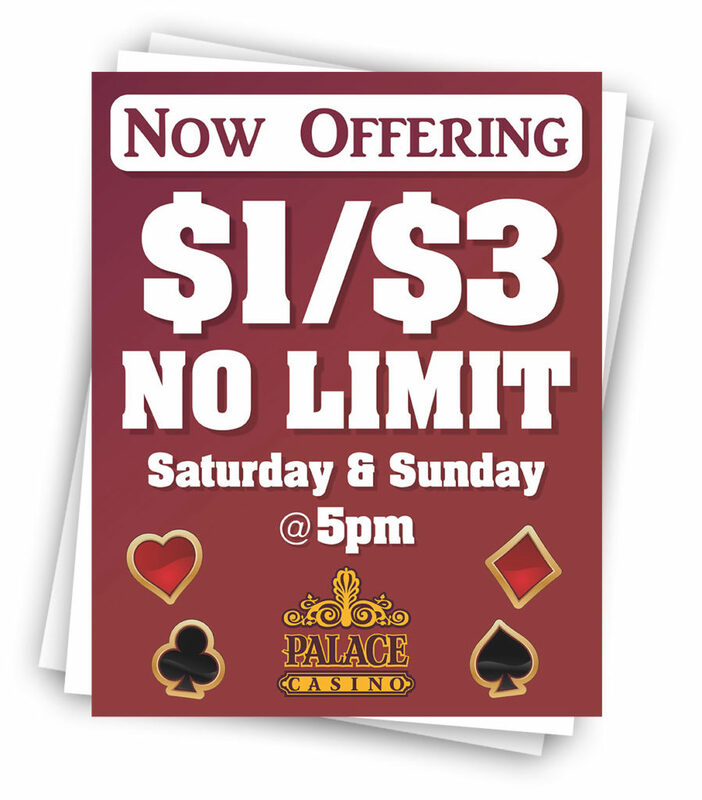 $1/$3 No Limit every Saturday and Sunday beginning at 5pm. Sign-ups 8 am, Tournament 8:30 am. Join us for Happy Hour every Sunday through Thursday from 4pm to 7pm AND 11pm to 1am. 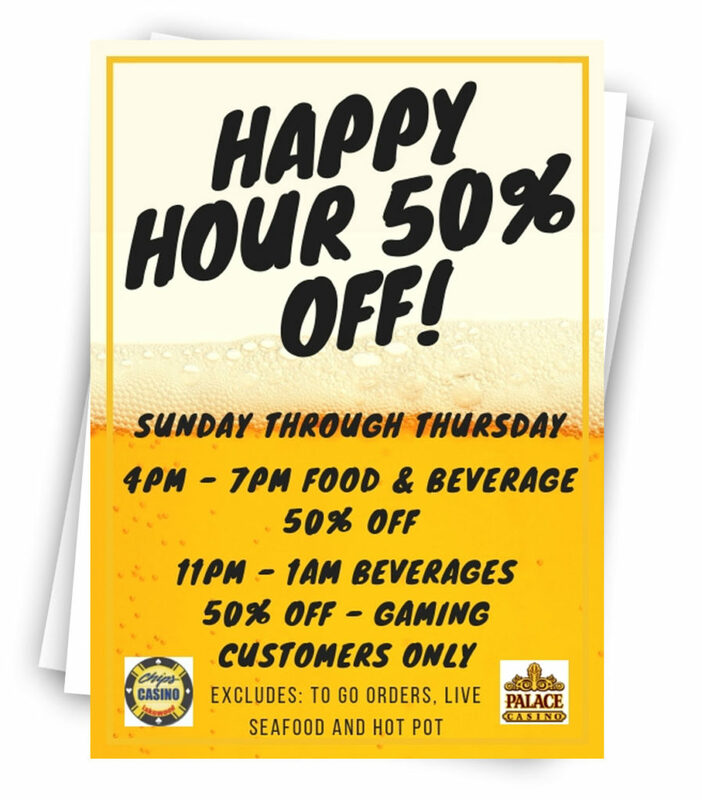 50% of all food and drinks from 4pm to 7pm. 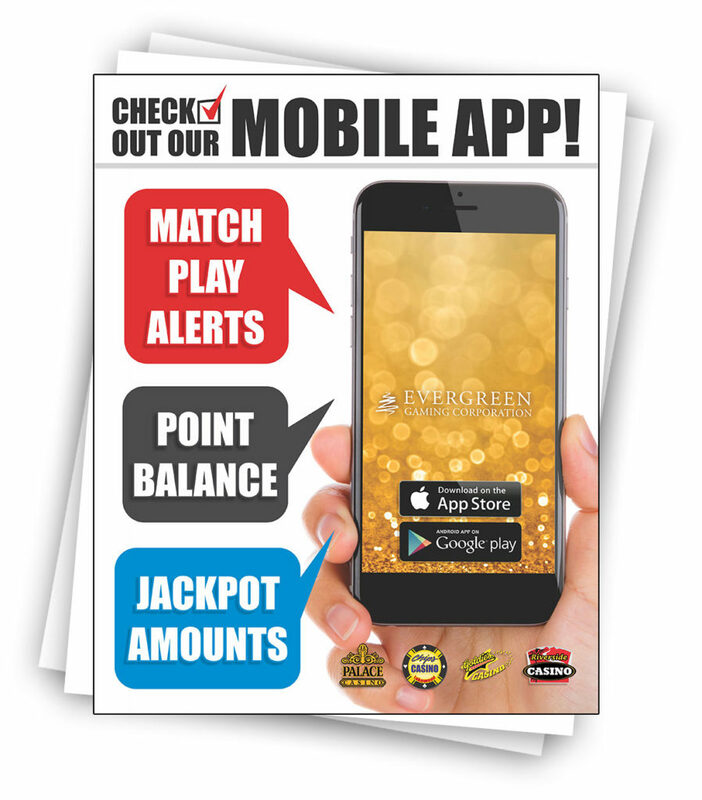 50% off beverages from Gaming Customers from 11pm to 1am.